Carter’s Carpet is now offering carpet cleaning in Placerville. With summer now in full swing and the kids being out of school, they’re going to be running in and out of the house tracking their dirt in. Getting a professional carpet cleaning in Placerville sooner rather than later will help ensure the longevity of your carpet and a fresh looking home. Carter’s unique process is thorough and ensures you’ll be happy when the technicians leave your home. The first step for carpet cleaning in Placerville is to pre-treat your carpet. 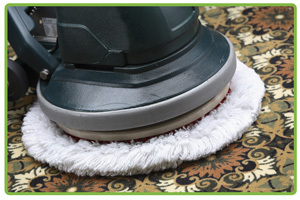 Pre-treatment helps loosen the soil, dust and oils that have built up on your carpet fiber. Carter’s has several options for providing you with the deepest carpet cleaning in Placerville. Each truck is equipped with a variety of cleaning tools designed to get your carpet as clean as it will come. Your technician will evaluate the condition of your carpet and the soil content. At that time he will choose the tools that will get you the deepest cleaning with the fastest dry time. Some carpet will require a Hoss-700 rotary extractor, others will benefit from a cleaning with the new Devastator wand and a CRB machine. Each carpet is unique, and Carter’s is equipped to offer you the best cleaning for YOUR carpet! Next, your professional carpet cleaning technicians will hand groom your carpet with a specialized carpet rake or carpet brush. This process helps speed up the dry time as well as getting rid of the cleaning marks left by the wand or extractor. Along with hand grooming, large air movers help with the drying process. High-tech air movers force a lot of air down into the carpet fiber so you’re able to be back in your home enjoying your clean carpet in no time. When Carter’s has completed your Placerville carpet cleaning, the carpet will be dry to the touch. Carter’s is a family-run business and knows the importance of having a fun summer with the family, but they also know the importance of having a clean home. You can trust the Carter family to ensure your family home will receive the best carpet cleaning in Placerville. There’s a reason that Carter’s is consistently voted best Folsom Carpet Cleaner. It’s because of quality, trust, and experience. There isn’t better carpet cleaning in Folsom, guaranteed! With Carter’s you always get the deepest and safest carpet cleaning and the fastest dry time available! Carter’s uses the most recent cleaning technology, superior Aerotech truck mounts and HOSS 700 rotary extractors. Carter’s is easily the best Folsom Carpet Cleaner around. You will experience true customer service with superior carpet cleaning technology. There’s no doubt about it, Carter’s is the Best Folsom Carpet Cleaner, guaranteed! Did you know that Carter’s charges by the square foot – not by the room – so you only pay for what you actually have cleaned. Please keep in mind, pet urine removals is an additional expense. If you suspect your carpet has issues with pet odor, please call or read more about your treatment options. Once you make your appointment, you’ll be greeted by uniformed technicians who will treat you with respect and kindness. They will arrive in a large carpet cleaning truck and will have name badges on. You can trust that all Carter technicians have been thoroughly background screened, and are certified by the IICRC in carpet cleaning. Your technician will measure the area of carpet you would like cleaned and then give you an exact price. Once you approve the cost, your technicians will get to work. Rest assured, he is the Best Folsom Carpet Cleaner! All the Carter techs are. The Carter Dry-Steam process begins with pre-treatment. A green carpet cleaning agent is applied to your carpet fiber to help loosen dirt, dander and soil deposits. Next, your carpet is cleaned with a HOSS-700 rotary extractor. This extractor is connected to the truck for a steady supply of high temperature steam, and powerful vacuum extraction power. Please know, the truck will be running during the cleaning process, and it can be loud. After the cleaning, your carpet is hand groomed with a carpet rake or carpet brush to give it a lush look and feel of nearly new carpet. Additionally, large air movers are used to help speed the drying time. 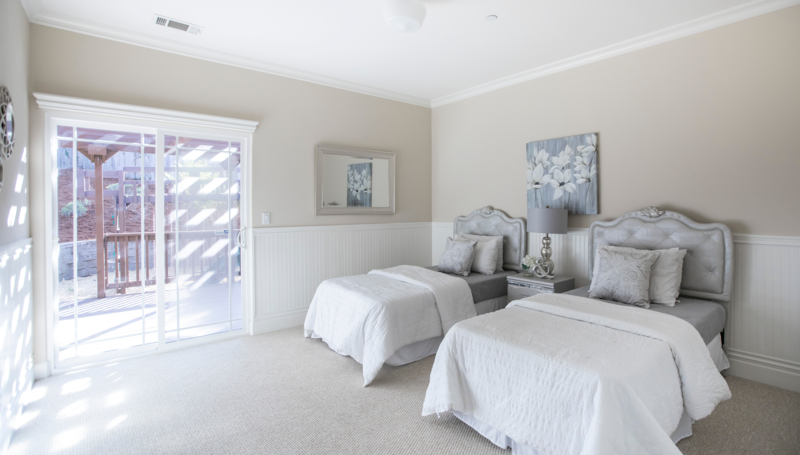 Finally, you will be asked to walk through your home with your technicians to make sure you are fully satisfied with the work of the best Folsom Carpet Cleaner around! Call or email Carter’s today, you’ll be glad you did!